Homenewsmortgage newsClosing Concerns: What Happens at Closing? Are you closing on your house? If so, learn what happens at closing here. Knowing what to expect can help alleviate your concerns. You’ve found the perfect home. You have an approved mortgage, and it’s time to close on your new home! What does that mean? You’re ready for the final step in the long process of finding your home, securing the financing, and signing on many dotted lines to take ownership of the house. However, arriving at your closing doesn’t mean you’re a homeowner just yet. In 2016, 3.9% of home sales failed. That’s a low percentage. More than likely, when you’re ready to close you walk away with a new home of your own. But, it’s good to know what happens at closing to avoid any potential roadblocks. Here’s a look at what to expect when it’s time for your home’s closing. The process of “closing” on the house means the property ownership transfers — officially and legally — from the seller to the buyer. If you’re local to your new property or broker, you’ll usually meet at the offices with your realtor to sign papers. Closings can also take place remotely if you’re buying a home in a different city or state. Funds transfer. You sign papers. The long journey of looking and hoping ends. After you close on your house, you own a new home! A few days before your closing day, you’ll receive some documents called the initial closing disclosure (also known as the CD). These documents detail important information about the terms of your loan, closing costs, and how much money to bring to your closing meeting. Review these documents closely. If you have questions or find any errors, contact your loan officer right away. You don’t want to delay your closing with incorrect paperwork. Allow a couple of hours for the closing appointment. Confirm the time and place with your loan officer. Make sure you get a cashier’s check for the amount of your closing costs and any other fees due at signing. If you prefer to transfer the fees electronically, know your wire transfer information. You don’t need a lot. To prepare for your big closing day, you need only a few critical items. Don’t forget to bring the cashier’s check or wire information with you. There’s nothing worse than arriving at the appointment, signing paperwork, then realizing you didn’t bring the funds to transfer for your home. You’ll also need a government-issued form of identification. A driver’s license or passport works. Just in case, bring your checkbook. The fees shouldn’t change last minute. But just in case there’s a change to the CD, have your checkbook handy. Who Comes to the Closing? Who attends the closing can change, depending on if you’re local to your closing location or the availability of others involved in the sale of the property. The closing agent works for either the lender or the title company. They facilitate the closing process. The representative from the title company provides written evidence for ownership of the property. A lawyer isn’t always necessary. As a buyer, if you haven’t had your lawyer review your closing paperwork before the closing, it might help you to have them onsite for the meeting. In some cases, the seller and seller’s agent will handle their part of the closing at another time or location. That’s common. Don’t worry if they aren’t present for your closing appointment. At the end of your successful closing, you take home quite a bit of paperwork. Re-read everything carefully and store it in a safe place. The final closing disclosure includes the details of your mortgage. You’ll leave with the same document you received a few days before your closing. If there were any updates during the closing, make sure you leave with the updated, final document. This is critical information about your loan. Note the terms, closing costs, and interest rate. Be sure these details are correct. Also, check that the document includes the correct spelling of your name. This is your promise to repay the mortgage. The note shows the amount and terms of the loan. It also details how the lender can respond if you default on your payments. This document shows you any payments the lender pays from your escrow account during the first year of your mortgage. Confirm that the charges for insurance and taxes are correct. The Deed of Trust secures the note. This gives your lender a claim against the home if you default on the terms of your mortgage. If you purchase a newly-constructed home, you also receive a Certificate of Occupancy. This document permits you to move into the home. Don’t forget the key! After you finalize all paperwork, you get your key to celebrate the ownership of your new home. In most cases, you’ll leave with the house key. Move in when you’re ready! In other cases, the seller might need some time to vacate the home. Confirm these details before or during closing. With a little preparation, you’ll know what happens at closing before you go. Your closing day should be a happy day! While it might seem stressful to hand over a check and sign so many documents, don’t let the stress get you down. Celebrate the end of the house-hunting process and your new journey as a homeowner. If you’re still in the house-hunting stage or you haven’t yet made it to closing, make sure there are no snags with your financing. 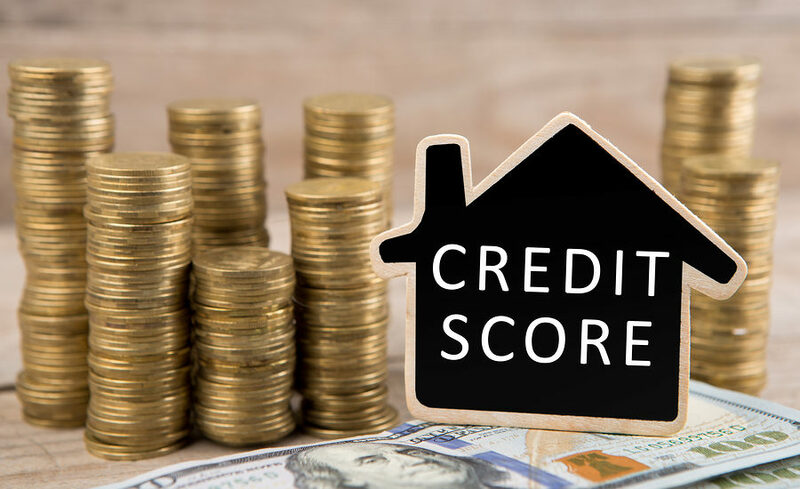 Read our article about how to get the credit score you need for a home loan.